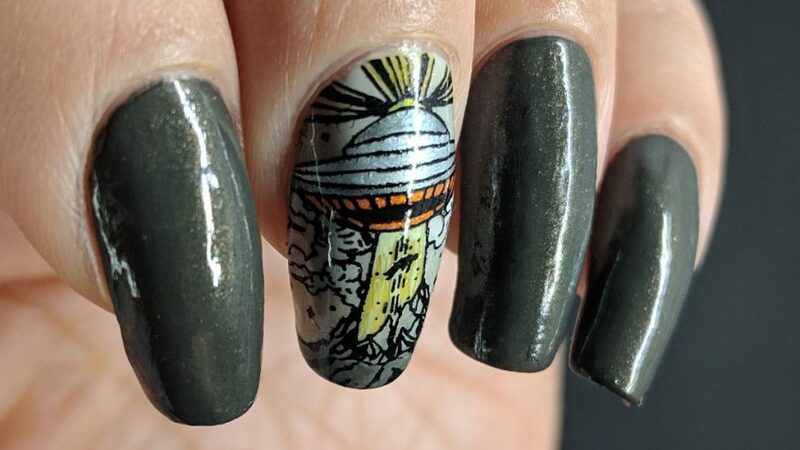 I just loved the alien abduction stamping image the minute I saw it. And it only took me two years to use it! Yay!? 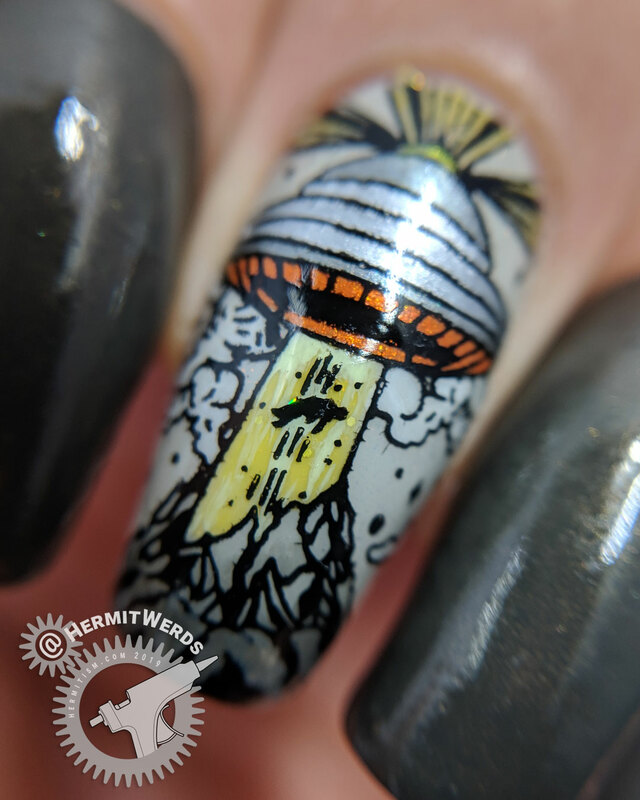 For a design with only one nail that isn’t painted a single color, I used a lot of Stuff. 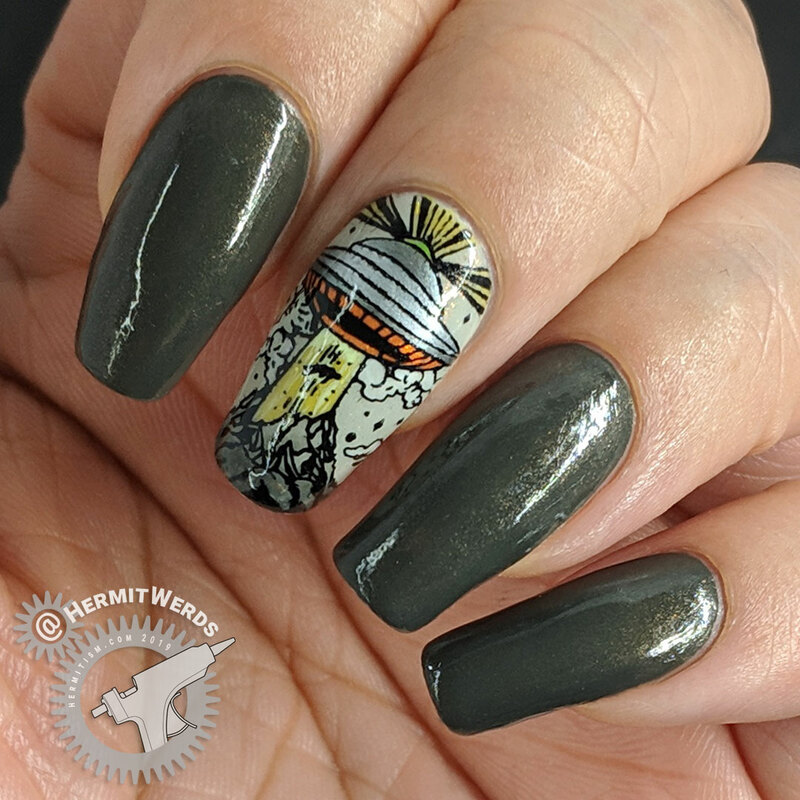 Extended rocks at the bottom of the stamp with a little freehand using Revlon’s Parfumerie “Italian Leather“ and Sinful Colors’ “Black on Black“. I think the combination of very light yellow streaks with a yellow jelly behind it worked really well for the UFO tractor beam. The rest is mostly greys and silvers, but who knows? Maybe with the cloaking technology off, UFOs are painted like the best of street graffiti art. Now that’s I style I don’t think I have the chops to imitate. Which is why I stuck to the grey/silver. 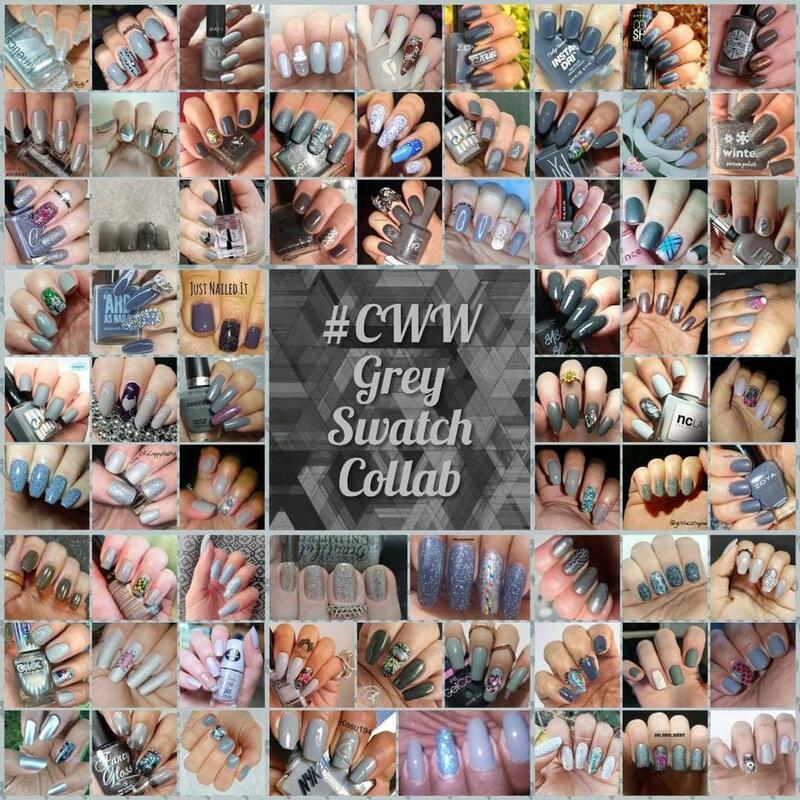 This nail art was painted for the #GlamNailsChallengeMarch’s Alien and #ColoursWithinWomen’s Grey color swatch prompts. Now, there are a lot of more dignified and lovely nail designs in the collage, but I’ve just gotta be me, right? And I had aliens to deal with. LOL Be sure to check out #ColoursWithinWomen’s group tag to see all their beautiful designs.